Tuesday, February 21, 2005 at 7:00 PM at Anna’s Pizza. Note: We will skip the December meeting due to the holidays. Enjoy the off-season! All CAMBC tools are now marked with neon yellow for easier tracking. CAMBC won the IMBA/Clif Bar Grant to build a new kiosk with Albemarle County at Walnut Creek Park. VA 2007 Outdoor Recreation Plan is up for review. We’re looking for volunteers to attend meetings at Thomas Jefferson Planning District Committee (TJPDC) offices on Water Street in C’ville on Wednesday, October 26, 2005 at 3 PM or 7 PM. Talk to Sue George to coordinate. WCP Trail Maintenance – (Will Sanford, Ted Gayle, Craig Spears, and Jerry Matthews). Upcoming trail days will be announced by list-serve and by web. October 1st workday was a success. Expect next workday in December. The County has approved a new re-route on the damn loop, so we will soon be undertaking a big new project. If you know of any trees down or other areas in need of help at WCP, please contact Will Sanford. WCP Trail Closure for Poor Trail Conditions– Plan drafted in Spring 2005 to close WCP trails when too muddy and to educate users about sustainable trail use. No news. Ball is in the county’s court. 810 Byrom Park Liaison– (Al Inigo) No news. O’hill Liaison– (Jay Dicharry) Two workdays were held in September 2005. Page Huffy alerted the club as to a problem with unsafe free-ride structures being built unauthorized at O’hill (burning stump incident was also noted). 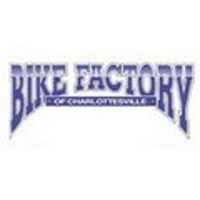 He has been in contact with appropriate UVA folks and is looking to make sure mountain bikers as a user group stay out of trouble and continue to have access. CAMBC will write letter as discussed at the meeting to support points made. Matthew Wikswo and Page Huffy to coordinate the letter writing. Sherando Trail Maintenance–(Matthew Wikswo). A workday is coming in early November. Probably a ride to follow. Candidate dates are now Nov 5, 6, 12, or 13. Matthew Wikswo to select the date and coordinate with SMBC. Michele to notify Richmond MORE. IMBA/Clif Bar Grant – (Ted Gayle, Will Sanford, Kathleen Herndon, Carey Hill, Craig Spear). Ted to get this going now that we have the award. Plan is to meet with the County soon. Grants–(Sue George, Ted Gayle). CAMBC won $500 IMBA Grant. Check just arrived. No new opportunities identified. Advertising Planning – (Matthew Wikswo, Will Sanford, and Ted Gayle). The board drafted up plan which it is now finalizing. Local shops will be approached in the coming weeks for advertising opportunities in 2006. Club Governing Structure – (Julie Jackson, Michele Co, and Sue George). Ongoing writing by Julie. Final bylaws and articles expected in late October/early November. Then the club will incorporate. Club Stickers & Business Cards – (Clint Barnett). Stickers on hold for the time being for financial reasons per decision by the board. Not enough money to spend on this yet. Business cards were distributed at the meeting and will be used to recruit more members. CAMBC Brochure – (Sue George and Jay DiCharry). Sue drafted content. Jay is now working on the presentation of it. Draft expected in mid November 2005. GWNF Protection – (Sue George). No news. Membership – (Ted Gayle) The board created a new, updated membership form with easy ways for folks to donate extra cash when the join or renew. 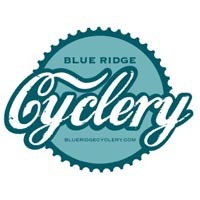 Blue Ridge School –CAMBC will host a Sunday Social ride there coming up tentatively scheduled for Sunday, October 30, 2005 assuming liability issues are worked out. Scottsville Trails – (Dave Clark). No news since last meeting. Dave will contact Dan Mahon to follow up. Nelson County – We heard a rumor that IMBA Trail Solutions may be under contract to build some more trails at a local vineyard near Nellysford. Women’s Ride– (Michele Co, Carey Hill, and Sue George ). Done for the 2005 season although we may do a November women’s night ride. They were a success! Beginner Ride– (Michele Co, Brent VanDevender, and Ted Gayle). Done for the 2005 season. They were a success! Sunday Social Ride– (Craig Spear, Jason Hiser). Sunday Social rides are alive and well! Stay tuned to list-serve for upcoming rides. The ride is open to all. Beginners are welcome—no one will get dropped. Interclub Rides– (Michele Co). No new rides scheduled although many CAMBC members participated in the SMBC festival on Oct 15-16, 2005. WNR– (Sue George). Ongoing. No news. Wild Ride– (Marty Quinn and Jace Fogel). Held successfully on Saturday, September 17, 2005! Pictures coming to website soon. 50 people. TAKMB– (Michele Co, Ted Gayle, and Sue George). Held successfully on Saturday, October 1, 2005! Pictures coming to website soon. 25 kids. Lots of support from local bike shops. Fall Foliage Ride– (Craig Spears, Jason Hiser, and Ted Gayle). CAMBC successfully led this ride on Saturday, October 15, 2005. Ted gave a recap and lessons learned. Next year: strive for better organization on promoter end, no conflicts with SMBC festival, and more credit for CAMBC. 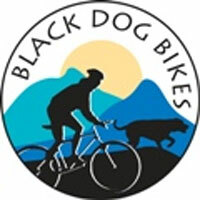 Meetings will be conducted on a bi-monthly basis during the mountain bike season. 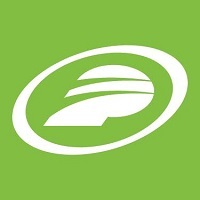 Frequency is sometimes decreased over the winter. Members re-affirmed interest in co-hosting or helping to host a racing type event locally, but due to current time of year and other obligations, not until 2006 season. Club members who want to try night riding should email the list to ask to borrow lights. Some members have lights they will loan if they can’t make the ride themselves or if they have spares. 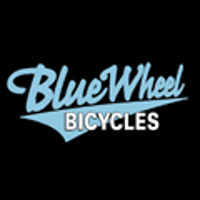 Club members who need to borrow a bike for a beginner or out of town visitor should email the list. Some folks said they have spare bikes they would loan. Reminder: All club members are encouraged to use the CAMBC list-serve at any time to announce rides or related events. We have club liability insurance due to our IMBA affiliation. This is in effect whenever we lead a publicized CAMBC club ride. The insurance protects ride leaders, club members, club leaders, etc. Publicized rides include those announced by list-serve and flyers. The insurance does not cover any rides or events for which participants must pay to enter (for example: a race put on by CAMBC or if we were to charge money to do the Wild Ride). Ted to contact overdue members and remind them of dues status.